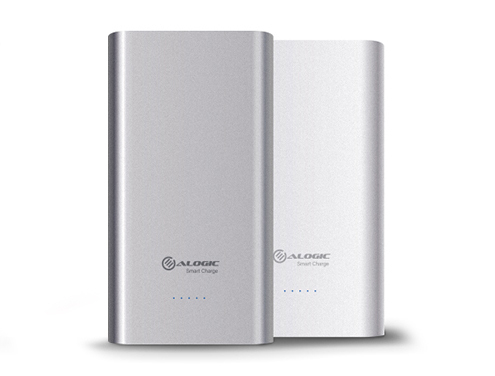 The ALOGIC Prime Series USB-C VPM2CA102 10,200mAh Portable Power Bank is designed to power two USB devices simultaneously on the go. 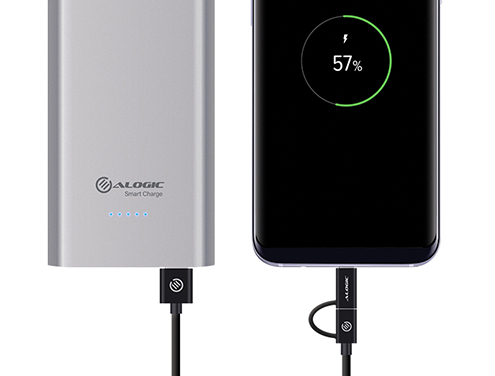 The ALOGIC Prime Series USB-C VPM2CA102 10,200mAh Portable Power Bank is designed to power two USB devices simultaneously on the go. The power bank features one USB-A connector with 2.4A current output and two reversible USB-C connectors, one rated at 3A current output and the other at 2.4A current input to charge the power bank. 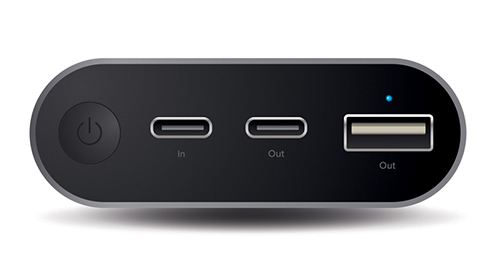 The USB-C input port provides fast charging and can re-charge the power bank very quickly. Machined unibody Aluminium chassis for a clean, elegant & durable design. Light and portable. 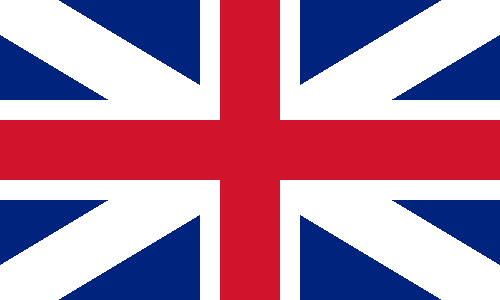 Rounded edges provide a comfortable grip. Available in 2 Attractive Colours.